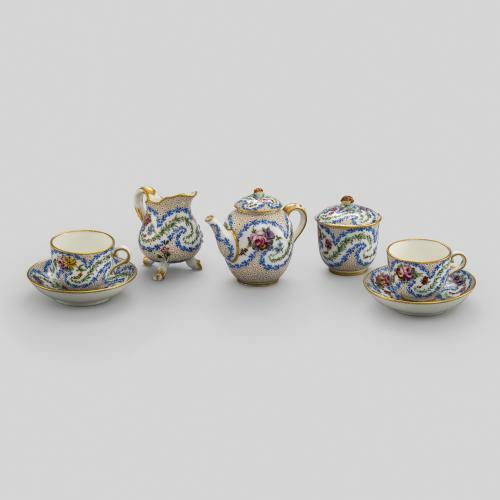 This miniature tea set, known as a ‘dinette’, was made at the Sèvres porcelain factory and comprises a teapot, two cups and saucers, a covered sugar bowl and a milk jug. 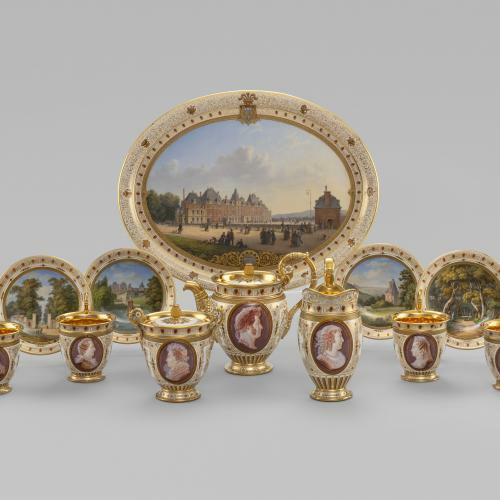 It is very finely painted in the Rococo style with garlands of flowers and gilt patterns of partridge eye known as “oeil de perdrix”. The Rococo style was highly fashionable at this date, characterised by asymmetry, natural motifs and scrollwork. The style was in high demand at Court, particularly amongst aristocratic ladies. 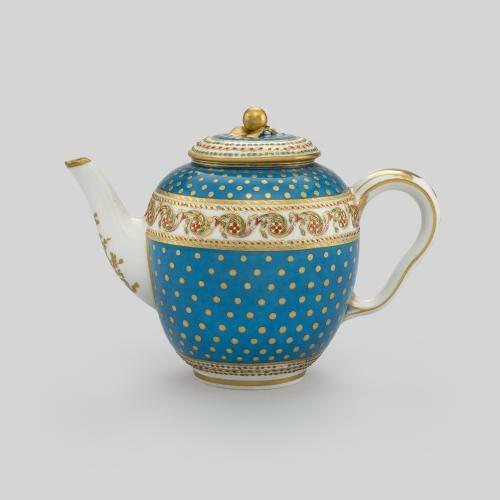 During the 18th century miniature tea services such as this were often given to young aristocratic girls to educate them on how to make and serve tea.